Kingdom's athletes claim three golds, one silver and three bronzes on day four in Abu Dhabi. Saudi Arabia medal tally now up to an impressive 25. 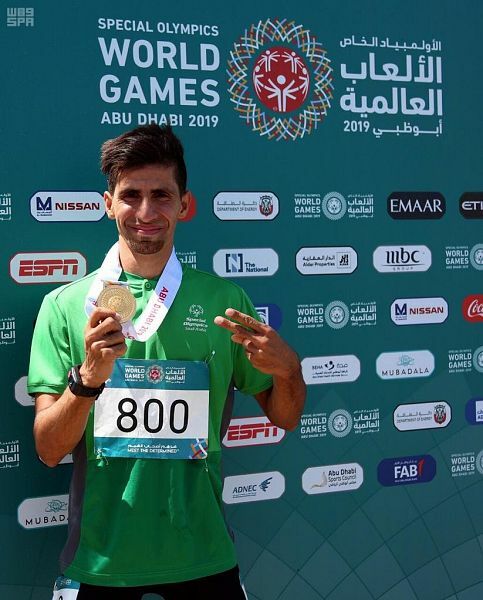 LONDON: Saudi Arabia enjoyed another good day at the Special Olympics in Abu Dhabi winning three golds, one silver and three bronzes to take their medal tally to an impressive 25 after four days. Abdulaziz Alharthi got the day off to a great start in the pool, the 17-year-old from Jeddah picking up gold in the men’s 25m freestyle. That was then followed up with the second gold of the day as Mohammed Alolayan powered home in the 5,000m. It was his second medal of the Games after he took home a bronze in the triathlon. Moayed Aldarwish completed the hat-trick of golds coming home first in the 400m. That was not the end of the success for the Kingdom as Fares Almateq and Naif Alshammari won silver in the men’s doubles table tennis. This was Fares’ second win of the week, having impressively won gold in the men’s singles event earlier. 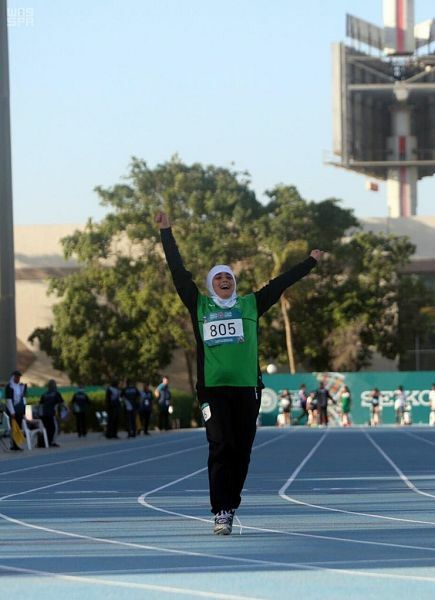 Heba Shawli then became another multiple-medal winner when she took home the bronze in the softball throw event — she having won gold in the 25m run event.